In rejecting the first bitcoin-backed exchange trade fund (ETF) on Friday the SEC predictably sent the virtual currency's value diving, losing 20% or more in a minute. Less predictably, however, traders have seemingly shrugged off this disappointment as a minor bump in an already extremely rocky road. At midday Monday Bitcoin was once again trading at pre-rejection prices with little to show for the SEC decision but a cardiac-arrest of a graph. Underlying its position as a globally traded commodity, particularly driven by the Chinese market, the US regulatory decision seems largely to have been disregarded. For a currency that has sought to transcend banks and governments, side-stepping a body blow from the regulator of the world's largest economy is an arguable milestone. Nevertheless it remains clear that knee-jerk Chinese regulation remains a much larger consideration to investors than excessively protracted American considerations. Given the calming effect recent regulatory efforts by Beijing has had on price volatility and with the distraction of the SEC decision now firmly in the past, could Bitcoin be ready for a period of consolidation? The Securities and Exchange Commission said on Friday it had rejected an application to create an exchange-traded fund tied to the price of Bitcoin. Within a few minutes of S.E.C.’s announcement, the price of a single Bitcoin tumbled more than 15 percent, to around $1,060. The price soon recovered some of the lost ground, however. 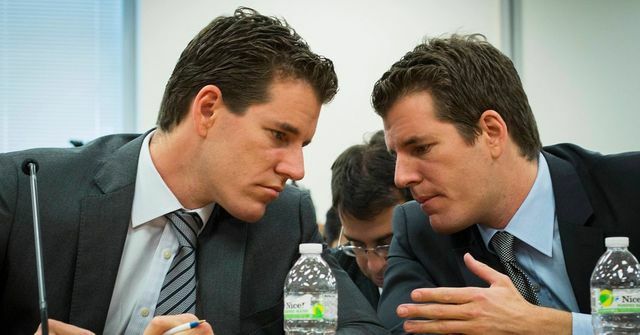 The decision was a significant setback for Tyler and Cameron Winklevoss, twin brothers who began working on a proposed Bitcoin exchange-traded fund, or E.T.F., four years ago. An exchange-traded fund tracks an index, or basket, of assets but trades like a stock.